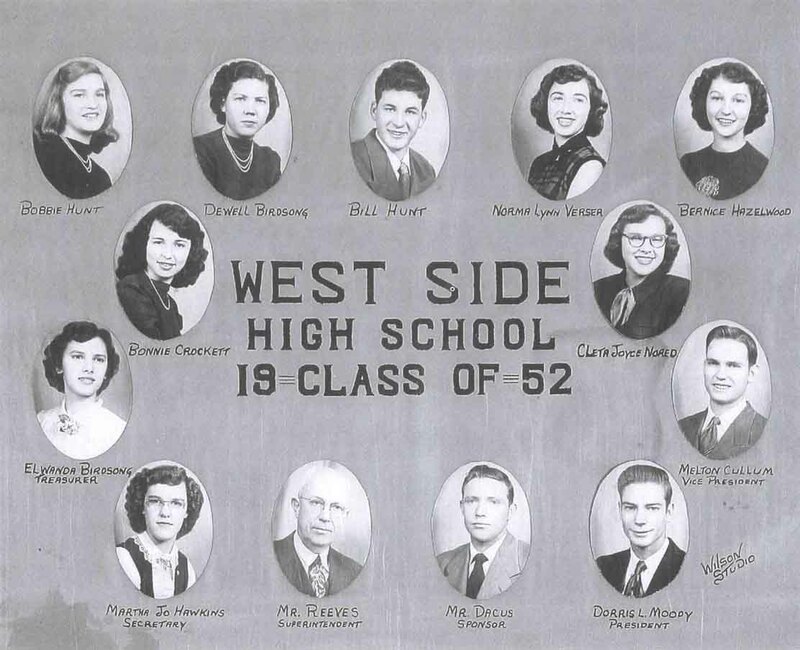 An inside page of the West Side Class Composite Book . . . The Class of 1952. The Senior Class is selling a commemorative class composite books that include all the senior class composites from the graduating classes of 1950-2015. Each book costs $20, with an additional $5 shipping charge if it needs to be mailed. These would make great Christmas presents, so be sure to get yours soon! Please contact Holly Cornell at Holly.Cornell@westsideeagles.org to place an order, or call (501) 825-7241.